Stress?!@? Give Yourself a Time Out. Do you remember when you were a child? 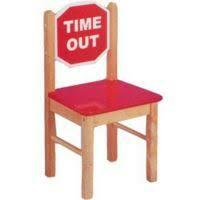 When you acted out, did your mom give you a time out? Somewhere that you couldn’t have fun…or maybe you had that proverbial corner that you had to sit in? Well as a kid, you were acting out because of all the stress around you. And you need to take time away from it to be okay again. The corner represented time away from the stress, where there was no additional stimulus or anxiety piling on to add to the woes. As adults, we still need to do that because it helped. We calmed down and became more even keeled again. We are busier than ever, trying to get things done that seem to matter so much to us. It doesn’t matter how old you get, it just seems to get worse….until…it doesn’t any more. We learn that stress, worry about not getting things done and anxiety are not fun and are actually killing us. It may take until we’re 80 to figure this out, which would be sad, but hopefully we all learn it eventually. So what do you do in the meantime? Try giving yourself a time out. If you are in the middle of traffic and you are getting crazy frustrated, pull off the next exit and into the nearest strip mall to shop, get your nails done, have a bite to eat, or just get out of your car and walk around for a few minutes. Once you feel more calm, you can be on your way again. Or if you find yourself getting angry maybe your time out will be to go outside and put your feet in the grass, smell a rose or hug a tree. Take a jog or punch a punching bag. There are lots of things you can do and lots of ways to do them. Give yourself the gift. De-stress. You’ll find more joy in life if you let that anxiety go on a regular basis. Who knew time outs could be a good thing?